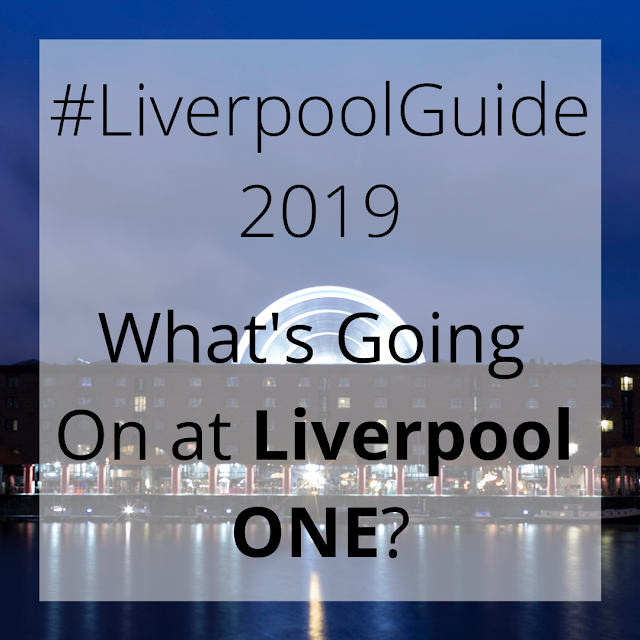 I've popped together a list of some of the events & days out happening in Liverpool ONE [and the city itself] in 2019 to share with you guys today - all which very much float my proverbial boat and [on the off-chance I ever do decide to get dressed & pry myself away from my duvet] there's a high likelihood of me attending. I don't have kids, but I do have a fondness for dinosaurs. Dinosaurs Unleashed is a fab interactive adventure via an app on your phone; where you follow fun trails to track down & hatch dino eggs hiding throughout Liverpool ONE. This is such a great idea & an amazing use of technology in education & family fun. Live music-wise, Liverpool is one on its own. The scene here is amazing. Therefore, it's no wonder these next two events have made it onto my list. Taking place over the May Bank Holiday Weekend, Sound City has a wide range of incredible types of music & local, national & international performers; taking place across various locations in the Baltic Triangle. I used to work in this area and loved it; it's so up-and-coming; with some amazing venues & hidden bars, coffee shops and of course, Terry's Sandwich shop. See what I mean about all the fab music events we have here? Set in Sefton Park - where I have a whole host of memories, LIMF offers us a weekend of live music in the sun; from global names & up-and-coming ones to watch. OH MY DAYS GANG, I've saved the best till last here - these final two picks legit have my name all over them & I can't cope. YOU HAD ME AT CHOCOLATE. I've heard about these Chocolate Lock In events from friends who'd been, but sort of wondered whether this sounds-too-good-to-be-true kinda thing was just an urban myth of dreams. But no, it's real & it's coming to Liverpool ONE in April. And you're greeted with a glass of fizz on arrival; before spending 45 minutes learning about chocolate. Sign me up hun! A wine. FESTIVAL. Pls, get me involved pronto. World-class wine & snacks - samples & sweet rosés. SO MUCH YES! Would you attend any of these events? What's your favourite pick from the list? Have you visited Liverpool ONE before?